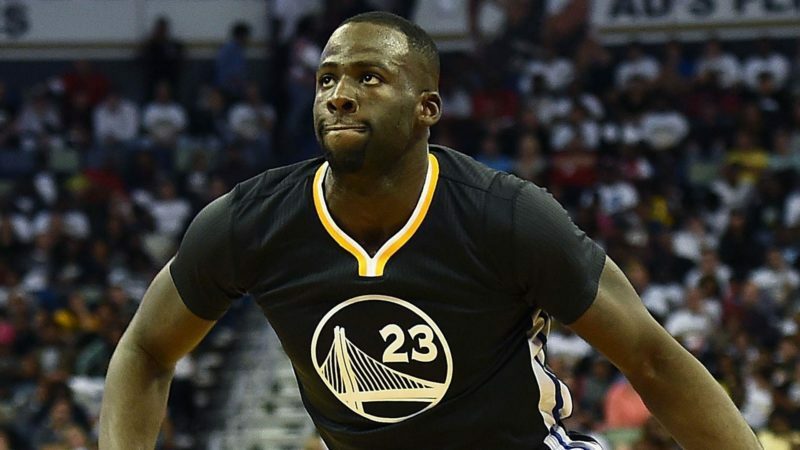 Draymond Green was booed every time his face was shown on the jumbotron Sunday. As for the booing Green, of course, took it as a compliment. The one thing that did upset him was the technical foul he got. After being whistled for 15 of them during the regular season — second-most in the league — Green hadn’t gotten one in the postseason in the team’s eight games before Sunday. He thought it should be nine, and he wasn’t alone in his assessment of the call made by official Zach Zarba with 1:10 left before halftime. “He didn’t deserve that,” Stephen Curry said in Green’s defense. Warriors’ coach Steve Kerr said that Green has matured a lot. He’s learned when to turn it on and infuse the team with passion and excitement. But he’s also learned when to tone it down so he doesn’t get penalized. Green didn’t always have that type of restraint. Back in 2015, Green was suspended for Game 5 of the NBA Finals against Cleveland after being assessed a Flagrant 1 foul for striking LeBron James in the groin in Game 4. But this postseason, Green said he’s learned how to use his emotions to his advantage. “It’s just growth, understanding what’s at hand,” Green said. Kerr said that Green has done a great job of navigating that tricky balance. Green has been a force on both ends for the Warriors throughout the series, nearly finishing with a triple-double on Sunday with eight points, nine rebounds and nine assists. Not only does Green, the reigning Defensive Player of the Year, harass Anthony Davis on the defensive end. He’s also third in the league in assists per game (nine) throughout the postseason behind Rajon Rondo and John Wall, both point guards. Kerr has repeatedly called Green the “heart and soul” of the Warriors. He has a profound talent for eliciting emotion from his teammates, competitors and fans because he’s so fiercely passionate and intense about the game. And on Sunday evening, his incredibly thoughtful, articulate and even compassionate response to the man who made the death threat was yet another example of his maturity. Green has evolved into a leader both on and off the court, even in areas he should’ve never had to deal with.